This week marks the final days of the installation and exhibition, Living Lines by Lynn Randolph, a piece commissioned by Arts Brookfield and on view through October 9th at Total Plaza. The 16-foot long oil pastel mural pulls from the sketchbooks of Randolph, providing a window into the creative process of not only the individual artist, but artists as a whole. Curated by Sally Reynolds, the exhibition is held in cooperation with the artist and also features a number of Randolph’s individual paintings. Lynn Randolph is probably best known as an artist. Or, is it writer? Or, maybe activist. Labels can be tricky. Throughout her life she has seen her art and/or her writing intermingled with her passion for women’s rights and human rights. Originally from Port Arthur, TX, Randolph attended the University of Texas where she received her BFA before returning to Houston and establishing an impressive artistic legacy. Her works have been reproduced in a number of books, academic papers, and journals (including Coronation of St. George, which was reproduced for The Nation) as well as widely exhibited throughout the United States and are part of permanent collections at the Museum of Fine Arts, Houston, the Menil Collection, and The National Museum of Women in the Arts, among others. Her work with women’s rights and human rights was far reaching and art became a natural conduit for her work in these areas as well. In 1984 she and her friend Suzanne Bloom organized in Houston for the Artist Call Against U.S. intervention in Central America, a broad umbrella of artists, activists, and others seeking to bring attention to the crimes being committed as part of U.S. foreign policy in the Western Hemisphere. In 1992 Randolph joined the Women’s Action Coalition and helped the New York based group organize protests of the Republican National Convention held in Houston. Prominent in the protests were the use of drum corps. 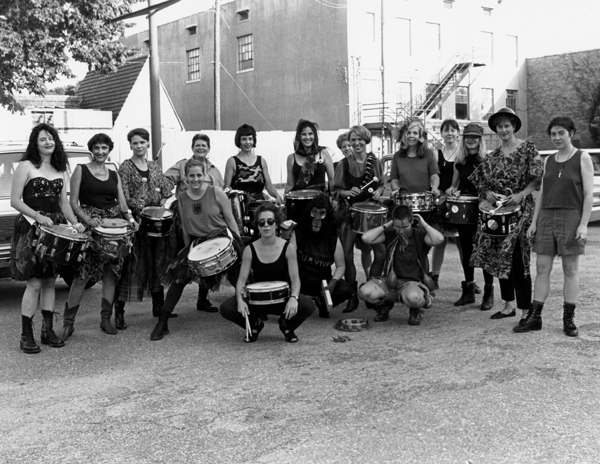 Born from this experience were the Ilusas (or “deluded women”), a Houston-based drum corps that continued to perform until they disbanded in 1997. 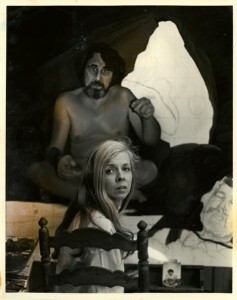 In 1993 Randolph and Marilyn Zeitlin traveled to El Salvador and helped organize an exhibition of Salvadorian artists entitled, Art Under Duress, El Salvador from 1980 to Present, which was mounted at the Arizona State University Art Museum and also traveled to Houston with an exhibition at the Lawndale Art Center. For those interested in the artist’s process, the University of Houston Special Collections is pleased to offer the Lynn Randolph Papers for study. Included in this collection are documents and materials related to her artistic and literary career, as well as her activism and public service, and research and personal papers. In addition, a number of items and works by the author have been individually cataloged to facilitate discovery. The Lynn Randolph Papers are available for study, along with the other collections comprising our Carey C. Shuart Women’s Archive and Research Collection, during our normal research hours. We encourage you to catch Living Lines in these final days and be sure to visit Special Collections for further study with the artist’s papers.